The language of the law. Part Latin, part Greek, part law French, even part Anglo-Saxon. And all confusing. There are always so many deadlines. And February 1 is no exception, so The Legal Genealogist is still hip- (or neck-)deep in swamp water. A lot of these grants start off with “Know ye that we have given and granted unto ‘name of a person’ assignee of ‘name of another person’ a private in the Continental Army…”. My question is what do they mean by “assignee”? Why is there an assignee? 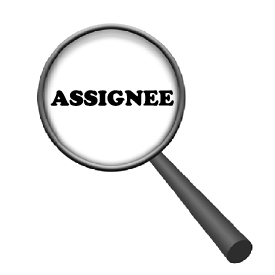 Is the assignor giving the grant to the assignee? So let’s start by making sure that we know what the underlying transaction is, and it’s called an assignment. What’s rarely clear on the face of a document assigning rights is why the assignment is being made. But the usual reason is simple: person A owns a right to property (real or personal) and wants to sell it to person B. So the rights are assigned — transferred over — for a cash payment. That was particularly common back when land was being handed out as bounty land, either by the states, as Janet’s records may reflect, or by the federal government in later bounty land cases. The land given as a reward for military service was often located a long way from where the men and their families lived, and they weren’t all that keen to uproot and go where the land was located. So… what to do? Assign… transfer… sell the rights to somebody who was keen to uproot, or, in many cases, to land speculators who then made the land available to others.